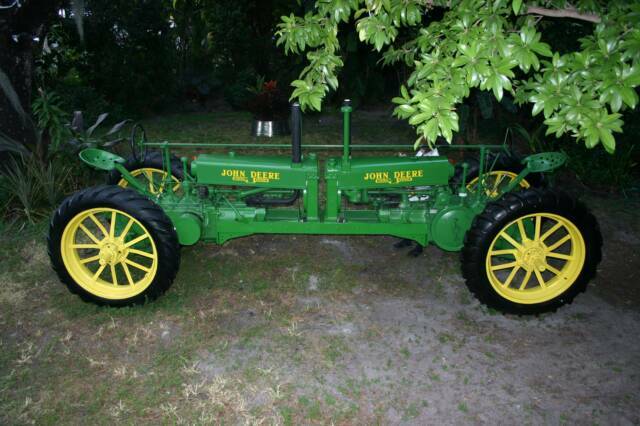 John John is constructed with two John Deere tractors fixed together, head-on in frozen motion. 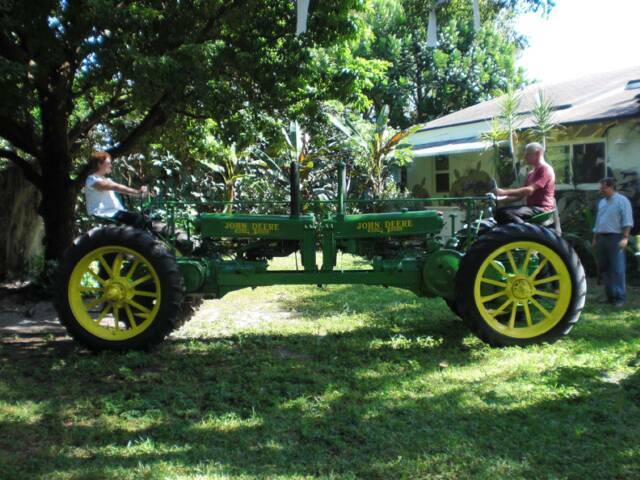 Both machines originate in 1936, during the height of the depression. 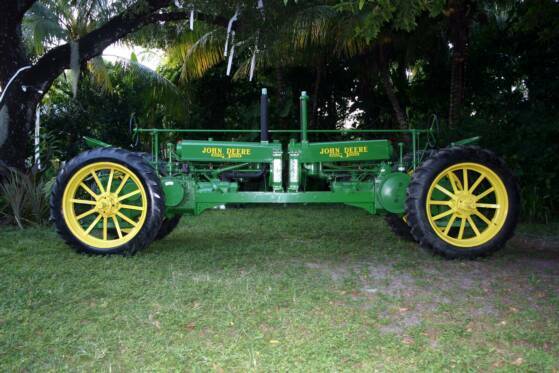 The John Deere Model A tractor was the epitome of the bare bones, but highly effective, American heartland farming effort. The historical significance of the machines brings to light the present state of our country, in which, the two tractors are literally at a physical standstill, collided into a fusion of past and present.